Can CBD Help My Dog with Cancer? When your dog is suffering from cancer, watching them fight this horrid condition can become overwhelming. And, it’s equally as frustrating as we can’t help as much as we would like to. Thankfully, there continues to be more and more research released regarding alternative treatments. One potential alternative treatment you may want to investigate is CBD oil. Before we go on further into this article, it’s important to note that CBD oil isn’t a cure for cancer in dogs. We wish it could be the cure, but unfortunately that’s not the case. But, this doesn’t mean it can’t still help your dog. And, a little disclaimer here, if your dog has cancer make sure you discuss this option with your veterinarian before implementing this into your dog’s routine. If your family veterinarian is unsure about alternative treatments, you can request a visit with a veterinarian who specializes in alternative medicine. What Exactly is… The “C” word? The basic definition of cancer is abnormal growth of cells in the body. The abnormal cells in the body grow uncontrollably (we’ll talk more about this in a few moments) and begin destroying the body’s ability to function properly. Skin Cancer: Skin cancer is common in dogs, but it is usually benign. Mammary Cancer: Female dogs are prone to breast cancer. Breeds most susceptible to mammary cancer include Poodles, Dachshunds, and Spaniels. Head and Neck Cancers: Dogs are prone to developing mouth cancer. This type of cancer must be treated immediately and aggressively. Dog breeds most susceptible to developing this type of cancer include Golden Retrievers, Irish Setters, German Shepherds, and Scottish Terriers. Lymphoma: Lymphoma is cancer of the lymph nodes. Dog owners usually catch this cancer once an enlarged lymph node is apparent. Lymphoma can be an aggressive cancer and should be treated immediately following diagnosis. Breeds prone to Lymphoma include Dachshund, Pomeranian, Chihuahua, and Brittany Spaniel. Testicular Cancer: Testicular cancer is common in dogs, particularly dogs who have retained testicles. Bone Cancer: Bone cancer is common in large-breed and senior dogs. The most common area bone cancer occurs is in the leg bones. You may notice unusual swelling, lameness, or pain in dogs who have bone cancer. Certain breeds are more susceptible to bone cancer than others (Great Dane, Saint Bernard, Golden Retriever, Doberman Pinscher, Irish Setter). Brain Cancer: Brain tumors develop in the tissue of the brain. They’re generally slow-growing and not found until symptoms begin. Fortunately, this type of cancer is rare in dogs. There are certain breeds at an increased risk including Doberman Pincher, Scottish Terrier, Olde English Sheepdog, and Golden Retriever. CBD oil helps to manage inflammation, decrease pain, manage seizures, and stimulate the appetite. Each of these benefits may sound relatively small when it comes to the full picture. But, each of these can result in your dog feeling much better. The anti-inflammatory and anti-pain effects from the CBD oil may help your dog feel more comfortable. Maintaining a healthy appetite is critical to your dog’s strength. CBD has also been shown to stop cancer cells from growing and increasing the death rate of tumor cells. CBD kills cells by helping the immune system and blocks their ability to produce energy. Cancer cells are different than your dog’s normal body cells because they don’t die on their own. Normal cells that are old or damaged have a “control system” that causes their death. This process of cell suicide is known as apoptosis. Cancer cells do not have the ability to induce apoptosis. The damaged/mutated cells just continue to grow and grow… which forms tumors. CBD has been shown to ‘turn on’ apoptosis and stop the growth of tumors. CBD oil can also help increase the efficacy of conventional cancer treatments (chemotherapy, radiation). Researchers have found combining chemotherapy with cannabinoids had better results than using chemo alone. Researchers believe combining chemo and CBD can also reduce those terrible side effects, like nausea, from the chemotherapy treatments. There’s some promising research regarding CBD and cancer in dogs and humans. Researchers are continuing to study the benefits of CBD oil, and more research is expected to be released in the future. In the meantime, there are benefits researchers have found to help your dog already (reduced inflammation, etc.). Don’t forget to talk to your veterinarian prior to implementing CBD into your dog’s routine. Once your veterinarian gives you the ‘go-ahead,’ visit CannaCanine’s store here and use code ‘YEAR’ for 30% off! Does your dog become extremely anxious during a thunderstorm? Do all those loud noises, bangs, and flashes of light get to her? Does she run and hide when she’s feeling anxious? Does she become extremely stressed when there’s a lot going on in the house? If so, CannaCanine’s CBD Oil could be the best solution for your dog’s situational anxiety. Let me tell you why. How Does CBD Help Anxiety in Dogs? We have talked about this in earlier articles. But, Cannabidiol (CBD) has been a solution for our anxiety (as humans) and we have now moved to helping our dog’s anxiety. What makes us think that since CBD oil helps our anxiety, it will help our dogs as well? As you know from CannaCanine’s website and our past articles, dogs have an endocannabinoid system like ours (as humans). Basically, this means the receptors in their bodies that control their anxiety levels are like the ones found in our bodies. The receptors in the endocannabinoid system are responsible for maintaining our anxiety and stress levels. If our dog is feeling anxious, the endocannabinoid receptors aren’t communicating with each other very well to keep the dog calm. When CBD enters the body, the receptors work better amongst one another which results in a release of tension. What Type of Anxiety Does CBD Help With? In the dog world, there are two types of anxiety your dog could experience; behavioral and situational. And, it’s entirely possible for your dog to experience both types. The most common type of anxiety experienced by dogs is situational. If your dog has situational anxiety, their anxiety may be heightened when they encounter certain experiences. Common examples of situational anxiety include: travel, thunderstorms, fireworks, unfamiliar people in the home, too many people in the home. Dogs who have behavioral anxiety most commonly experience separation anxiety or aggression. 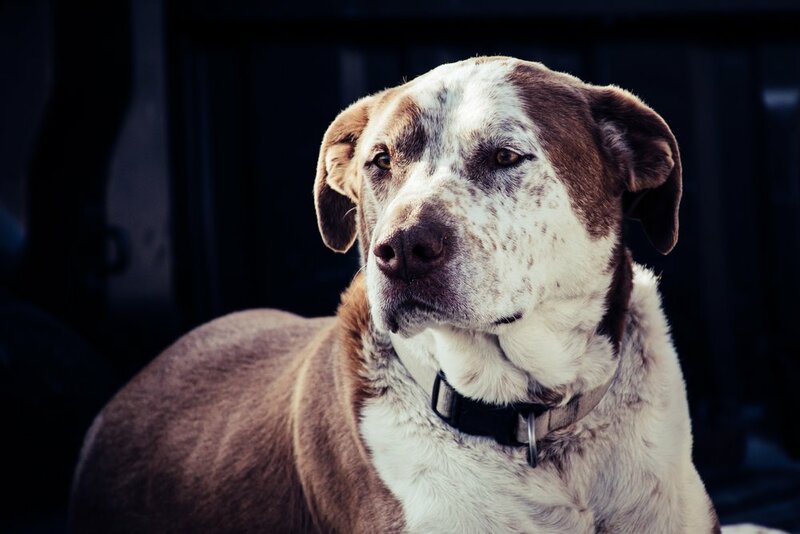 In these cases, CBD can help calm the dog so they’re able to focus, but they will need a Canine Behaviorist to resolve the problem. Situational anxiety may also require a Canine Behaviorist but isn’t generally an issue where a Canine Behaviorist is a necessity. Prior to contacting a Canine Behaviorist for your dog’s separation anxiety, you can try CBD oil and discover the results you have. You could notice a significant difference in your dog’s situational anxiety simply by administering CannaCanine’s CBD oil. Then, you wouldn’t need to hire a Canine Behaviorist. You could provide CBD oil for your dog before an ‘episode’ is about to occur so your dog’s brain can let them know all is okay. When I am looking at products, before I read the description, the first place I tend to look is the Testimonials Page. If the testimonials aren’t good, it’s not likely the product will work for my dog. Or, at least it’s less likely, right? We have compiled a few here for you to read through. But, feel free to look for yourself, too. We suggest administering CannaCanine’s CBD oil about 30 minutes before an expected ‘episode.’ The oil is easy to administer… give your dog a treat with the oil or place the oil directly in her mouth. If you think your dog would be more interested in a treat, CannaCanine has Verde Gluten & Egg Free CBD Dog Treats available in their Shop. You might be asking if the treats are equally as healthy as their CBD oil. Yes! They are… and we happily list the ingredients right on our website (organic honey, organic banana, organic peanut butter, organic unsweetened applesauce, organic rice flour, organic rosemary extract, organic flaxseed, organic hemp CBD oil). Take a stroll through the shop to see the other helpful products today!